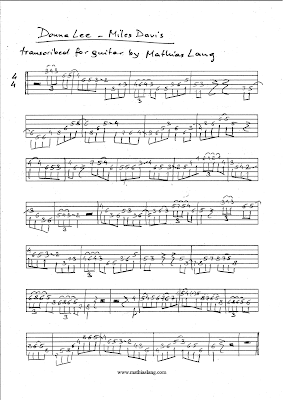 I based my transcription on the 1947 recording of the Charlie Parker Quintet. So, why on earth would anybody want to learn that song from almost 70 years ago? Well, first it's a great technical work-out. It's not easy to play the piece at the original tempo (around 220 bpm) and make it sound good at the same time! 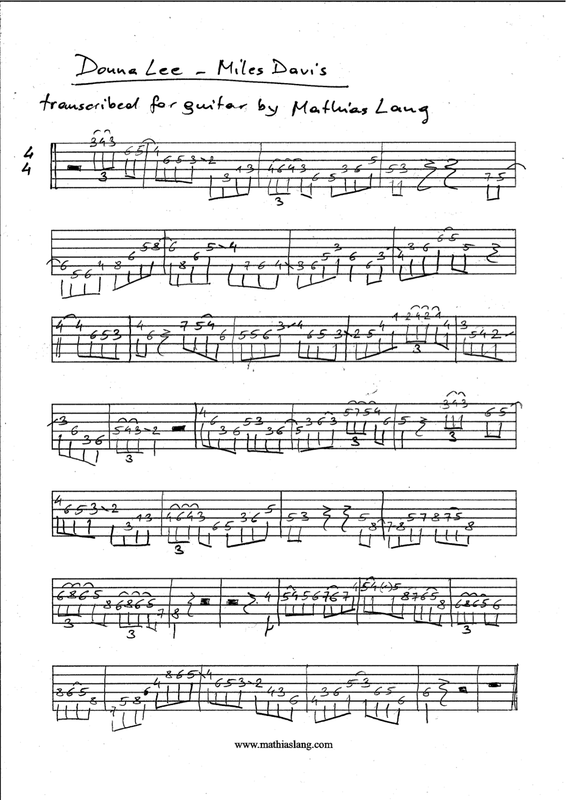 Second, it teaches you a lot of great bebop licks that you can use for your own improvisations. But in order to be able to re-use those licks, you must try to understand over which chords / chord progressions they are used. So try to find the II-V-I's and all other characteristic progressions that also pop up in many other tunes, and see what Miles Davis and Charlie Parker came up with. As usual, start slow, and always listen how it's supposed to sound, because the notation doesn't show everything. I recommend you take the original recording, slow it down, and play along until you nail it, then increase the tempo, etc. Anyway, here's the tabs, have fun! You can also find a pdf-version in Tabs&Sheet Music.